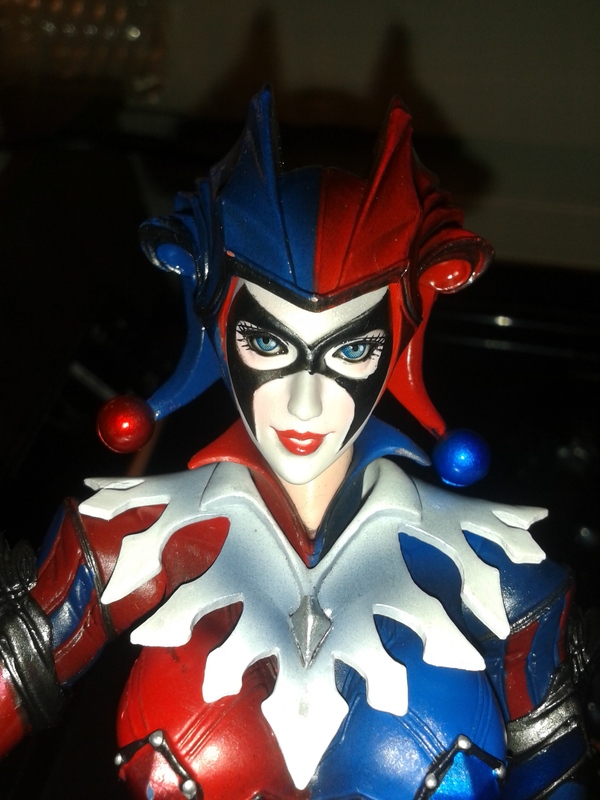 Harley Quinn Collectible Figure by Square Enix PLAY ARTS -KAI- Review | The Arcade Archives! 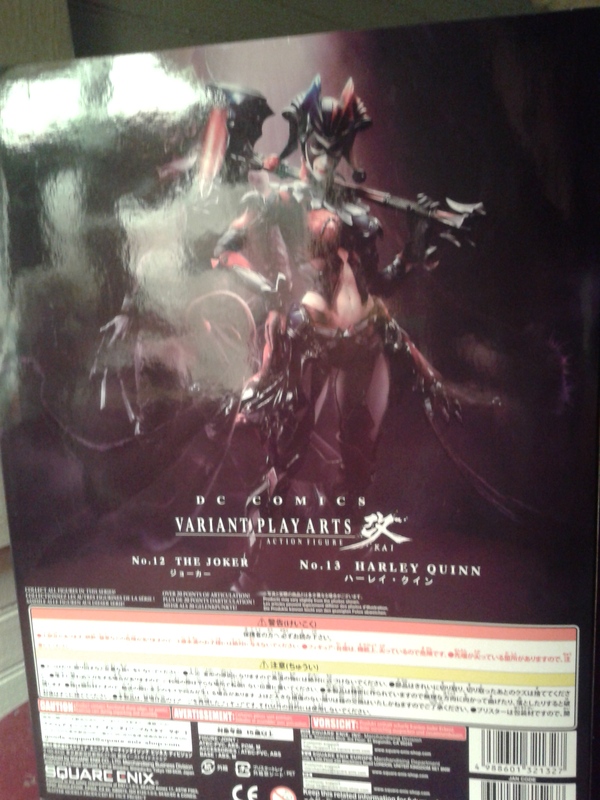 This is the front and the back of the box my beautiful new Harley Quinn came in! 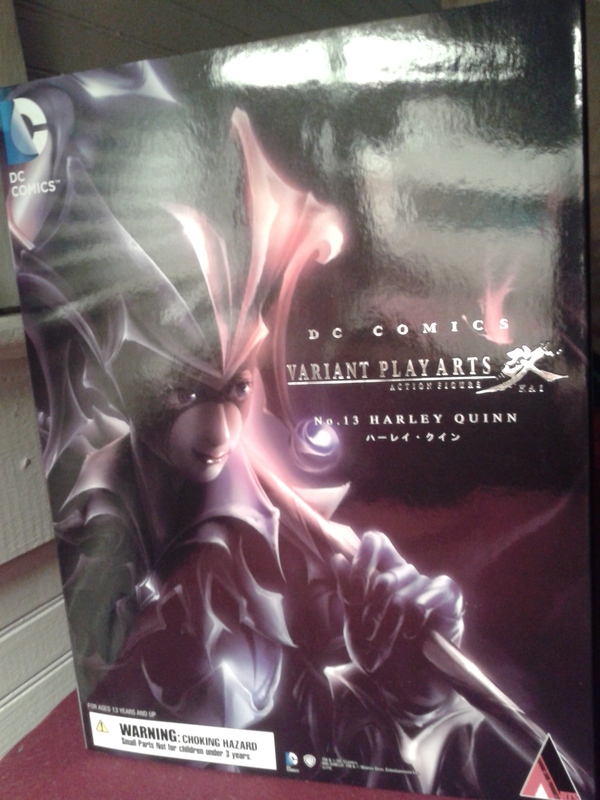 I couldn’t wait to get home today knowing that she had been delivered. I purchased this beauty at SideShow Collectables. She is actually part of a set. Her box said that she is number 13. 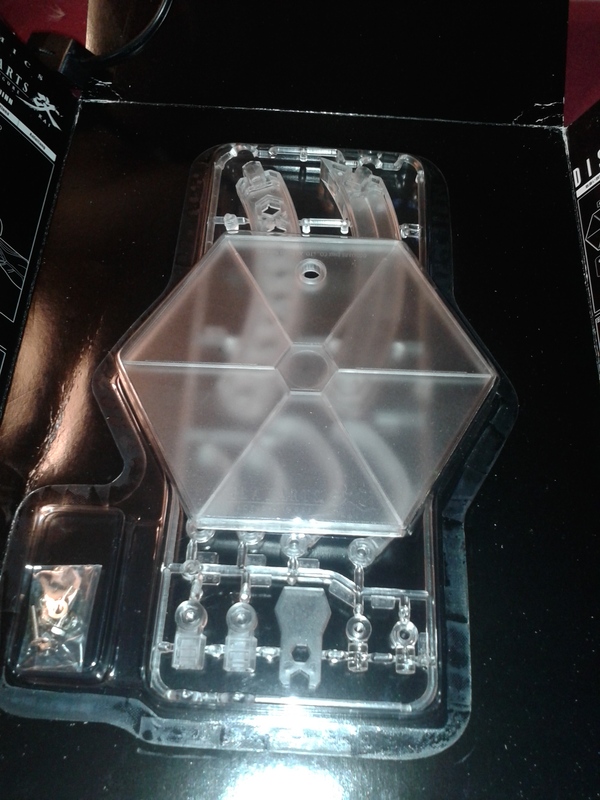 This is the inside of her box which sadly it’s so shiny that doesn’t photograph well but at least you get an idea of the box. 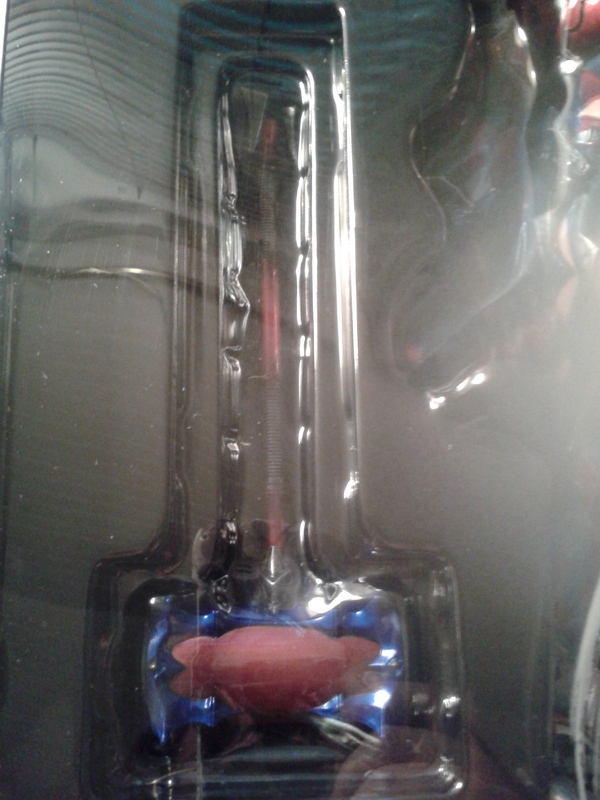 There was a lot of design that went into the box. 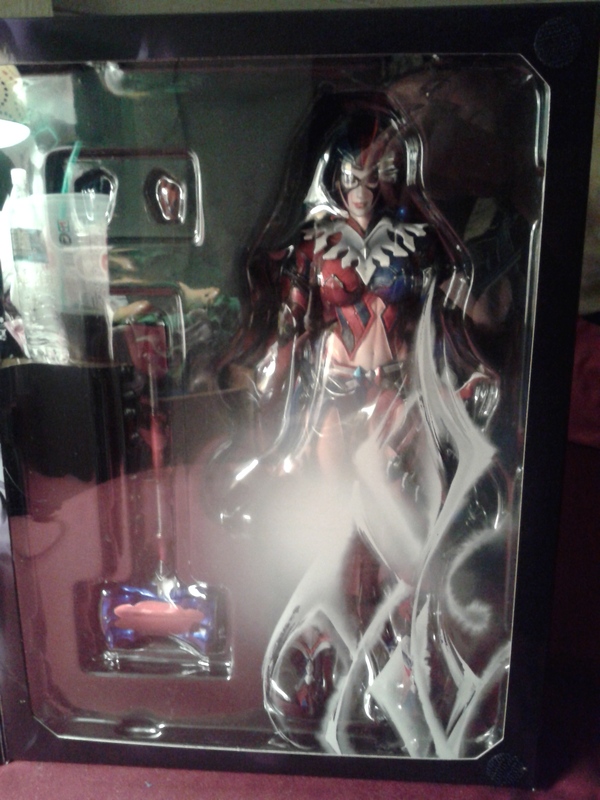 For a moment there I almost didn’t want to take her out of the box. But needing her properly displayed won out. 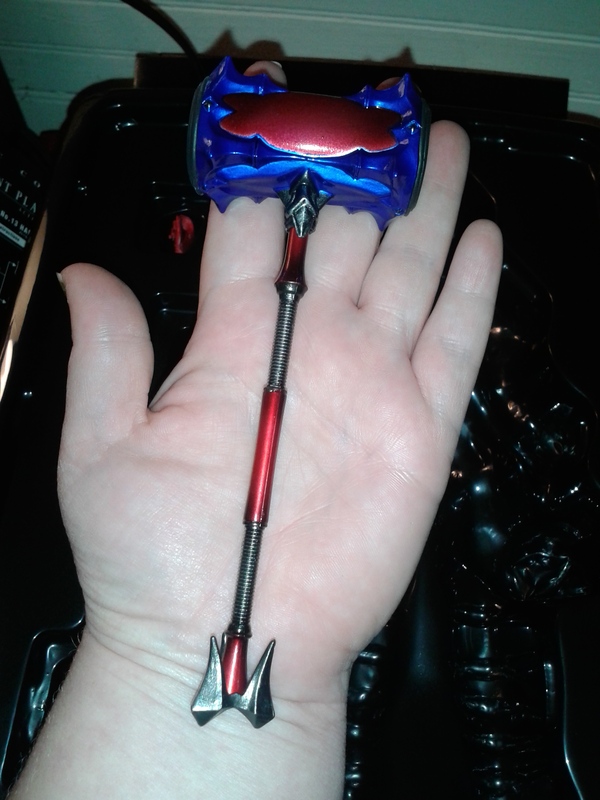 She came with an additional set of hands that are designed to hold her gorgeous mallet! I did change out her hands just to make sure I could do it but I couldn’t get the mallet the way I wanted it to sit so I decided to put her other hands back on. 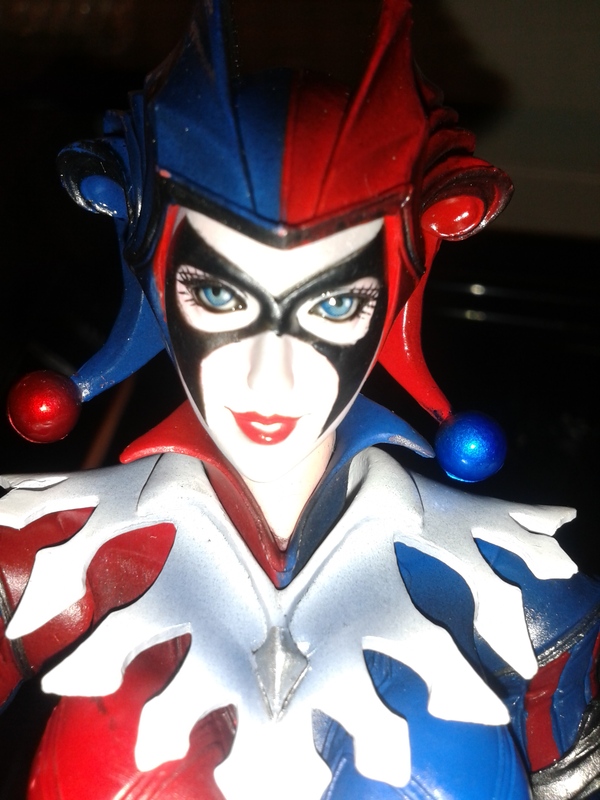 Look at her just for a moment and enjoy the style of this Harley Quinn! I she isn’t the old school red and black but this is spectacular. 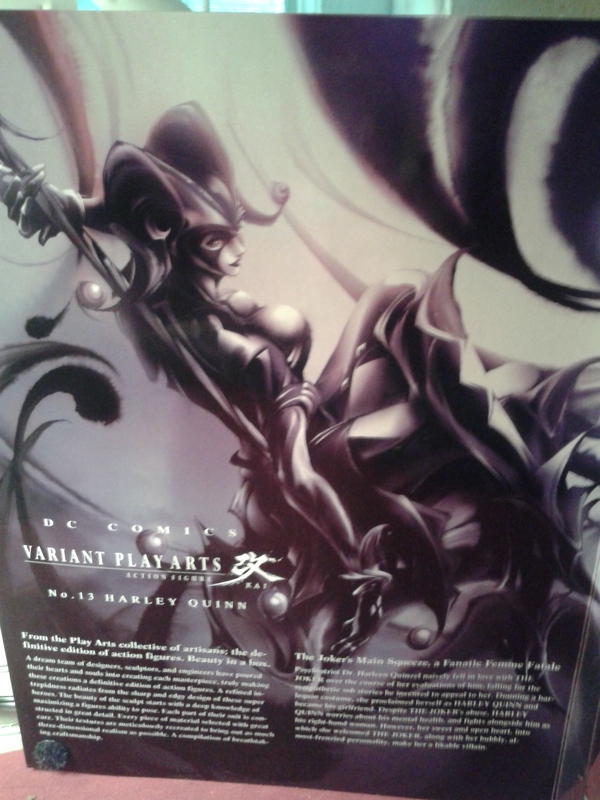 When I first saw a photo of her I knew I had to own her. She is detailed and her painting is high quality. The red and blue coloring flows into one another so there isn’t a question of quality. Look at the detailing in her face! She is stunning. With vibrant blue eyes and those bright cherry lips she just screams trouble. I also love the styling of her mask. Oh and I think her figure is exquisite it’s not tragically unrealistic. The detail of her mallet is incredible. It completely ties in with her outfit and coloring. I wish you could see the detail work better. There is so much texture to this accessory. 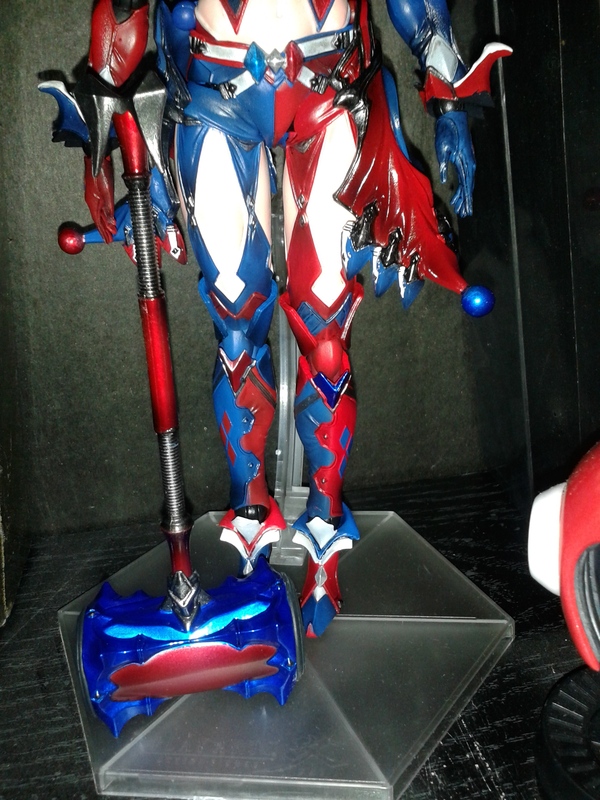 Even though I don’t have her displayed holding the mallet I thought it was to much a part of her not to display it as well. 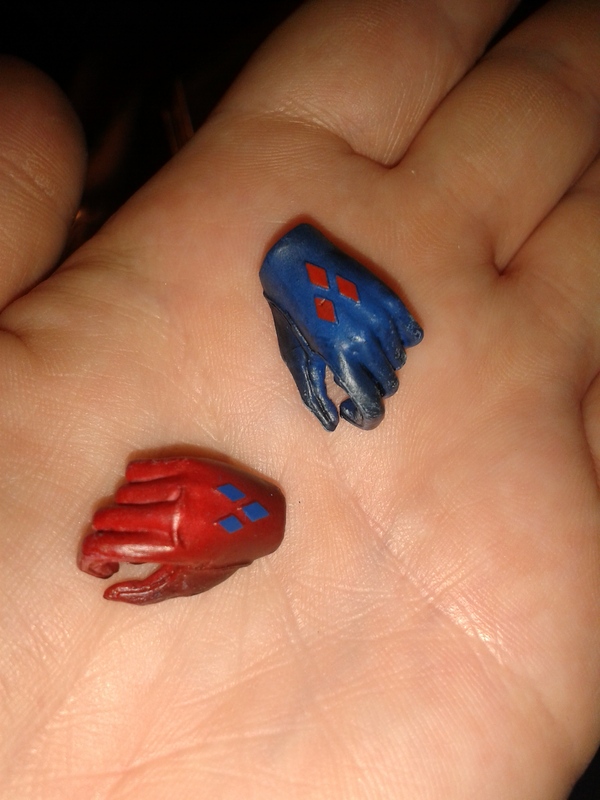 I wanted to try to give you an up close look at her spare hands. I think it’s a great addition to her gloves to have her signature 3 diamond pattern on them. I currently have them in the box for safe keeping so they don’t get lost. I may decide to change out her hands at some point. 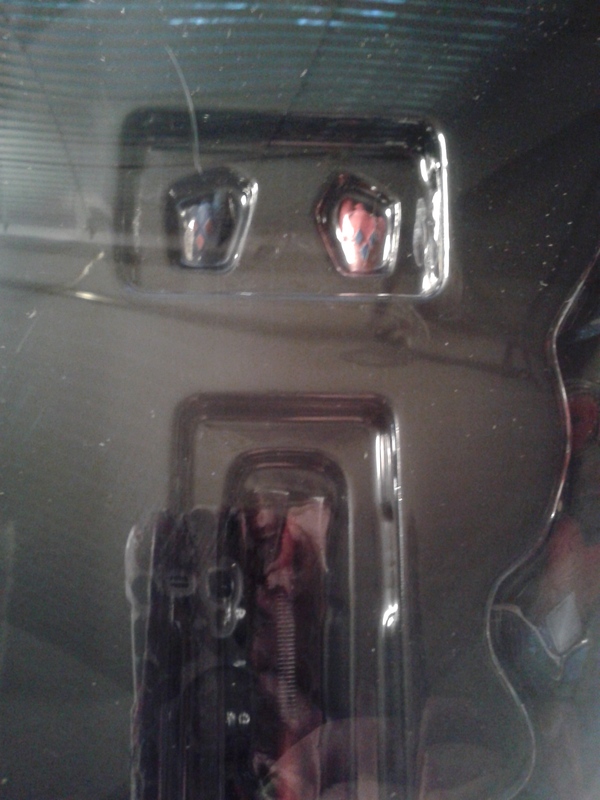 The first photo is the way the stand was packaged in the box. Its crazy I thought I was going to need another degree just to put it together. Also it’s all in Japanese, so I had to follow the little diagrams and hope for the best. 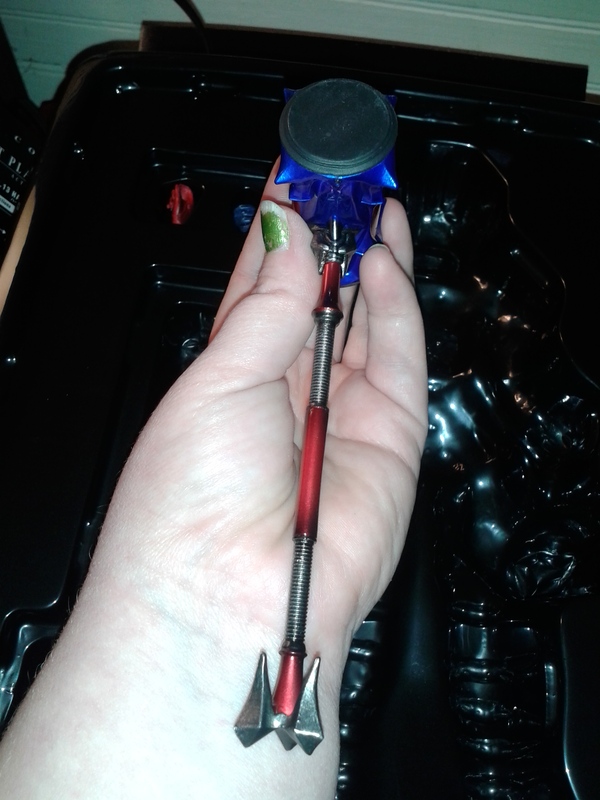 You may not be able to tell in the photo but there are nuts and bolts as well with the crazy plastic pieces. However no screwdriver is needed! See that crazy piece of plastic in the second picture? 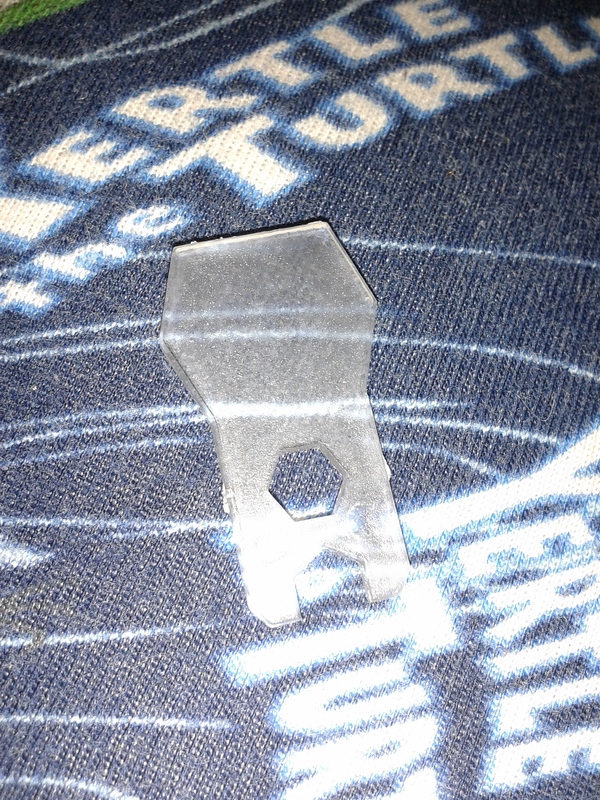 That is your tool for putting this thing together! Look at that thing. I can’t believe it worked as well as it did. I also got the stand together without injury which for me is a major accomplishment. Here are just some close ups of here standing in her stand. 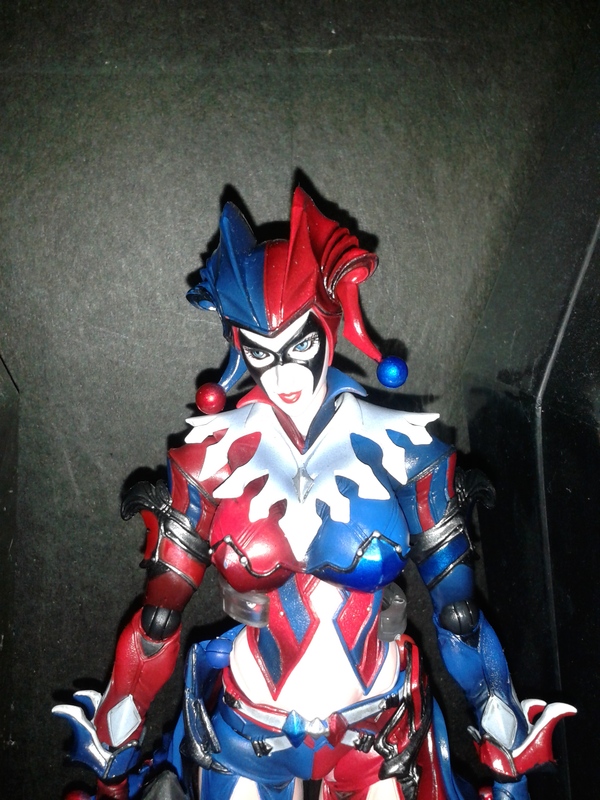 She is defiantly worth the $99.99, I paid for her through SideShow Collectables. They also have amazing customer service I will be buying from them again in the future!